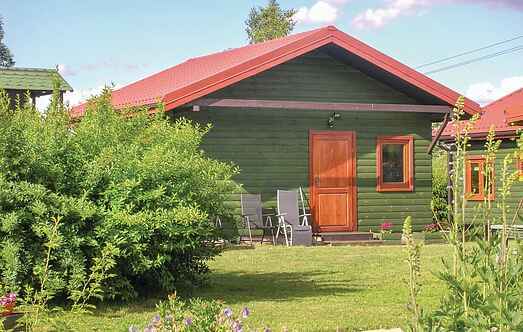 Choose from a selection of 7 holiday rentals in Gmina Mrągowo. Use the search form to the left to filter the results and pick your choice of self catering accommodation in Gmina Mrągowo. We have a good selection of holiday apartments in Gmina Mrągowo perfect for family, single, romantic and group holidays. You may prefer to take a look at our listed holiday villas in Gmina Mrągowo or holiday apartments in Gmina Mrągowo. Find your holiday homes by a specific type using the property type drop down in the filter. Filter the holiday homes in Gmina Mrągowo by a specific area using the area list above. This cozy wooden holiday home is located in Mrągowo. Mrągowo is the tourist center of the Mazury. Moreover Mrągowo offers sights from the XIX. Century: the Roman Catholic Church "Św. This comfortably furnished semi-detached duplex house is close to a lake and on a fenced ground. This duplex house, situated amidst greenery, is ideal for nature lovers. This modest, wooden holiday home is located right near Lake Juksty in the village of Sniadowo and is on a shared ground. You can rent bicycles from the landlord. This duplex house stands on a fenced ground right on the lakefront. There is a balcony and a covered terrace in the house. The holiday home is ideal for nature lovers. This spacious and rustically furnished holiday home is built with wood. This home is wonderfully placed on a huge ground close to the water.